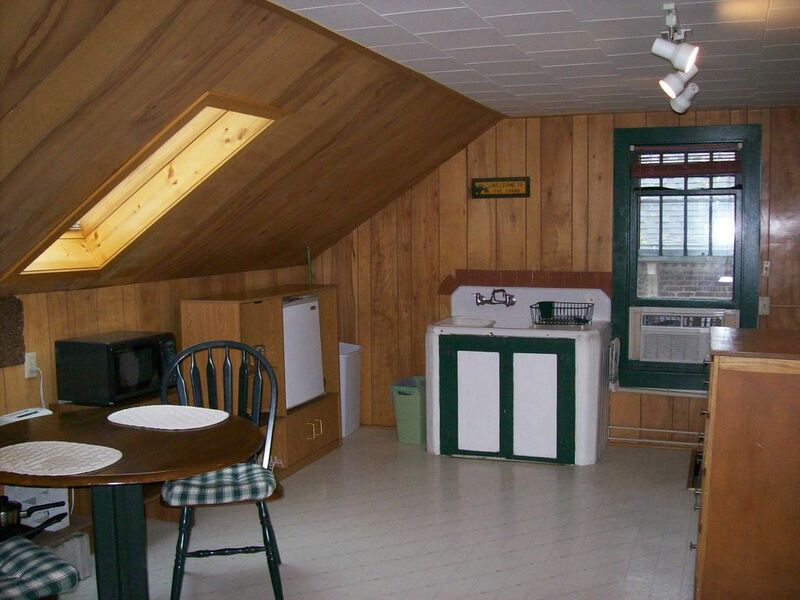 The Cabin style studio windows and skylight overlooks College Green Park and Historic District. This is a friendly university neighborhood. You will enjoy this quiet unit complete with bath and kitchen. The queen bed and furnishings are optimized for monthly or yearly stays - Perfect for work and relaxing during your time in Iowa City. Utilities and wifi included. Second person charge is $300 per month.